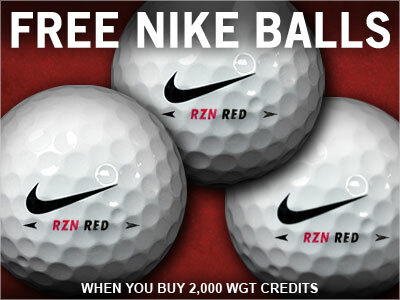 Now through the end of the month, get 3 free Nike RZN Red virtual golf balls when you buy 2,000 or more WGT Credits! These high-performance Nike RZN Red golf balls provide more distance, plus a slower WGT swing meter to help improve your game. With these virtual golf balls, every shot will be easier to hit, travel longer and stop on the green faster. Note, the free Nike virtual golf balls will automatically be added to your inventory but not automatically equipped. To use them, just open your Equipment and equip these new ones from your inventory. *Special offer for players who buy 2,000 or more WGT Credits now through Friday (3/31/17), receive 3 free Nike RZN Red virtual golf balls (L40+). 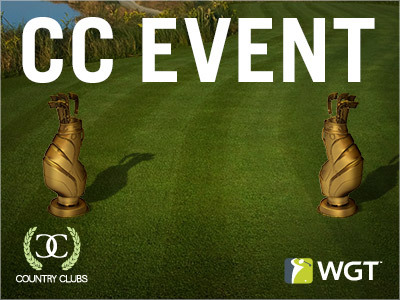 Join your WGT Country Club and compete in CC Event #44, going on NOW through Fri, 3/24. Tired of pulling around the same old golf bag? You're in luck! Today through tomorrow, we're giving away these golden golf bag trophy tee markers and flags to the top finishing country clubs in this week's Event. Plus, the top 500 clubs will also receive new Course Builder currency for custom courses. CC Event #44 runs 3/23-3/24, with multiple 4-hour Clashes, so be sure to play as many games as you can to earn points for your club and keep your eyes on the leaderboard. 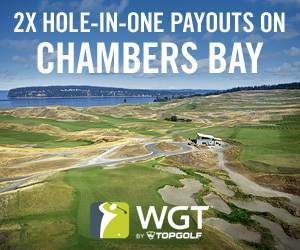 Today through Sat, 3/18 we've doubled the payouts for Hole-In-One Challenges in Chambers Bay stroke play games! Take your best shot at making a hole-in-one, or land the ball within 5 feet of the hole, and you'll earn twice the WGT Credits as usual. Play a stroke play game on Chambers Bay and you'll have the option to take a Hole-In-One Challenge on all par-3 holes. Double payouts are only valid this weekend in Chambers Bay stroke play games. *Promotion runs 3/17/17-3/18/17, double payouts available for Hole-In-One Challenges on Chambers Bay only. 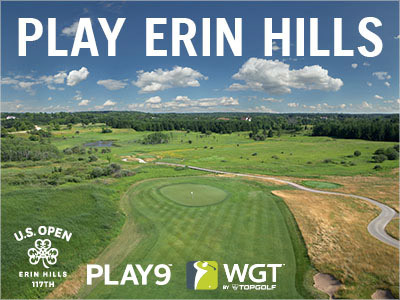 Play Erin Hills, the newest WGT course, in the Virtual U.S. Open Front 9 Challenge. Erin Hills is the host of the 2017 U.S. Open, and you can take an early look at the course in the Front 9 Challenge closest-to-the-hole tournament on WGT. Post your best score in this unlimited play tournament for your chance to win a $500 USGAshop.com gift card! See rules for details and eligibility.